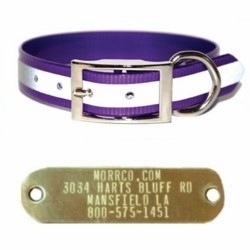 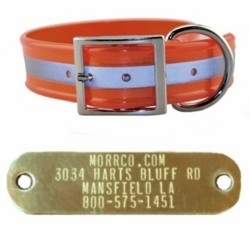 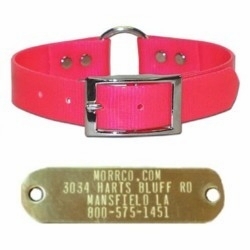 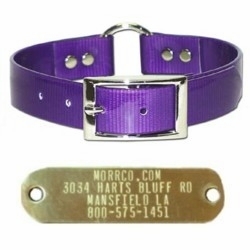 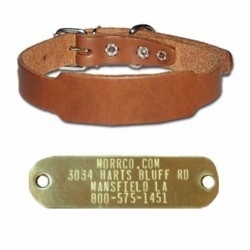 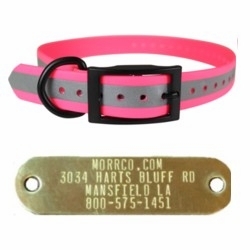 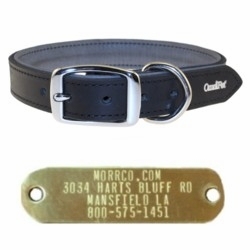 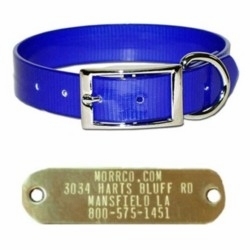 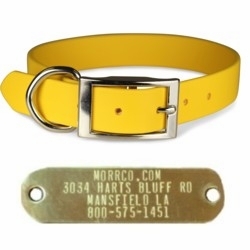 Get your dogs ready for hunting season with a new dog collar with a attached brass name plate. 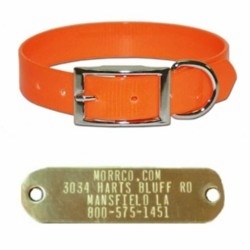 It is almost time to get your hunting dog and head out to the woods for some hunting. 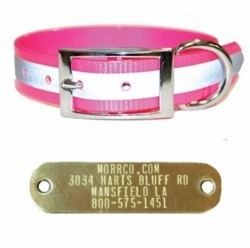 Take care of your best friend by making sure his dog collar has a name plate on it. 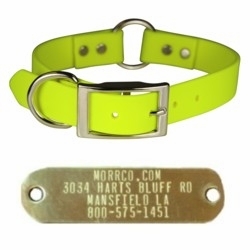 1000's of dogs get lost every year with out identification on their collars. 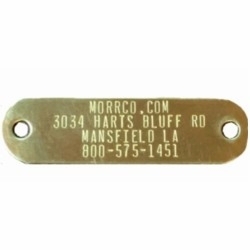 The name plate should have your contact information on it just in case he gets lost. 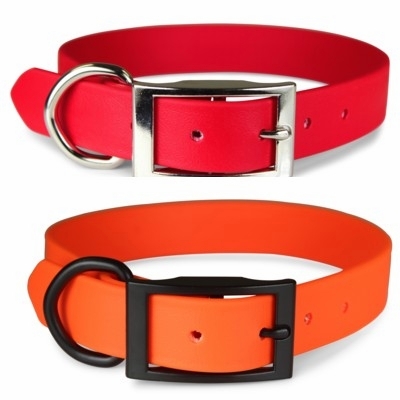 Choose between Sunglo, reflective Sunglo, Zeta or leather dog collars. 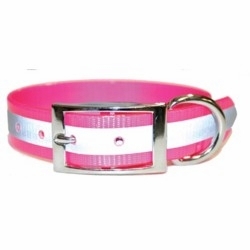 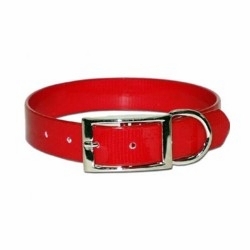 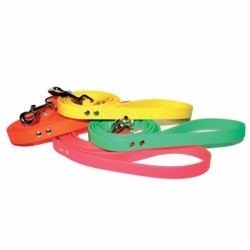 Most prefer the water proof Sunglo dog collars or the Zera dog collars because they come in several bright colors. 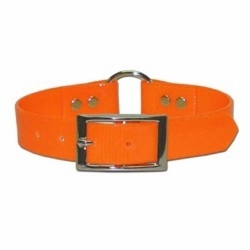 The bright colors make it easier to see your dog in the field. 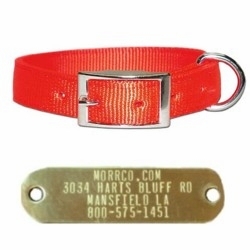 We also have Sunglo dog collars that have a reflective stripe that makes your dog more visible at night. 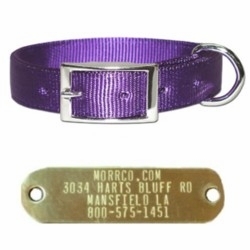 Our Zeta dog collars are poly vinyl coated webbing material that has the look of leather and the durability of nylon. 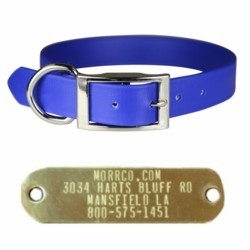 Our leather dog collars are made out of the finest leather available for years of use. 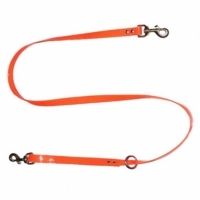 All of our hunting dog collars and dog leads are made right here in the good old USA!